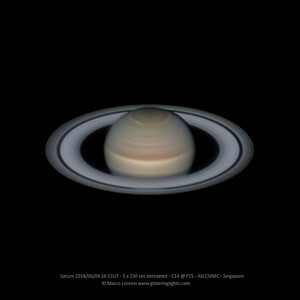 Saturn imaged the night of May 1st in good seeing conditions. 7x90 sec videos derotated, about 14,000 frames averaged using AS!3. 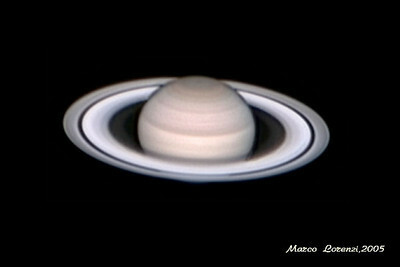 At the middle of the imaging sequence (around 2:56 am local time) Saturn was about crossing the meridian at 66 degrees of elevation. The polar hexagon is faintly visible being at the limit of the aperture resolving power.